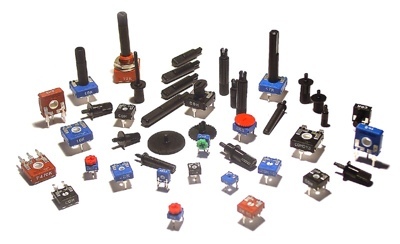 Variable resistors are also common components. They have a dial or a knob that allows you to change the resistance. This is very useful for many situations. Volume controls are variable resistors. When you change the volume you are changing the resistance which changes the current. Making the resistance higher will let less current flow so the volume goes down. Making the resistance lower will let more current flow so the volume goes up. 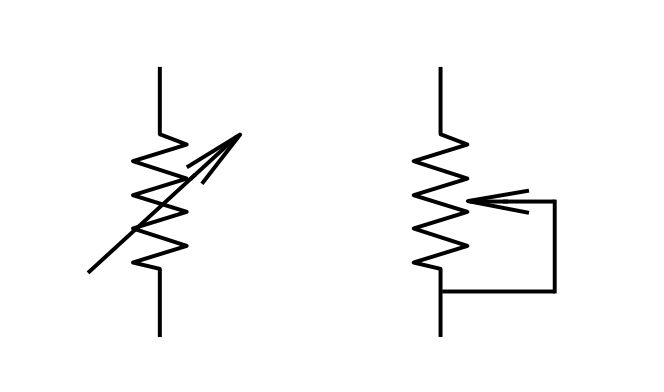 The value of a variable resistor is given as its highest resistance value. For example, a 500 ohm variable resistor can have a resistance of anywhere between 0 ohms and 500 ohms. 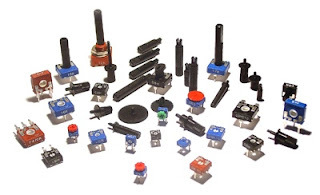 A variable resistor may also be called a potentiometer. 0 Response to "Variable Resistors Working and Symbols"